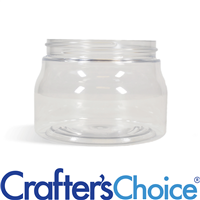 This Tuscany styled plastic jar holds 8 oz of handmade product. This style features a round bottom with straight walls that taper in halfway up. Great for whipped butters and creams! 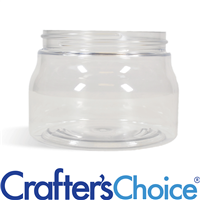 The 16 oz Clear Tuscany Plastic Jar fits any 89/400 top and is a stylish jar for any product line. This style features a round bottom with straight walls that taper in halfway up. Fill this cute jar with butters, creams and lotions!